When this project launched in 2006, the insurgency was intensifying in Afghanistan and would soon escalate into violence. Our mission on behalf of the U.S. Agency for International Development (USAID) was crucial: encourage communities in the most volatile parts of the country to turn away from the insurgency and toward the Government of the Islamic Republic of Afghanistan. We set out to do this in large part by facilitating 2,635 community projects that addressed local grievances, fostered stability, facilitated dialogue, and engendered trust in district and provincial leaders. Acknowledged as USAID’s flagship stabilization program, LGCD achieved its aims to a large degree. LGCD’s projects, undertaken in a variety of sectors, included assessments, rehabilitation of community infrastructure, basic vocational training, training of local government officials, cash-for-work activities, and provision of agricultural inputs and equipment. LGCD facilitated engagement between communities and government officials so that Afghans saw government as responsive to their needs and not as an external organization. This focus on supporting Afghan government is important because the provision of services by the government was found to be a key determinant in positively influencing local perceptions of stability. By the end of LGCD, 100 percent of requests for project assistance were being routed to and through the Afghan government instead of through LGCD staff. LGCD evolved into a countrywide program, working in 23 of Afghanistan’s 34 provinces, but most of its work targeted the country’s vulnerable eastern and southern provinces. Employing 765 people at its peak, 90 percent of them local Afghans, LGCD, in tandem with other stabilization initiatives, had extensive reach. In communities where LGCD projects were implemented, many Afghans expressed that they felt a greater sense of security, hopefulness, and trust in their government officials than in communities where LGCD was not active. Bring local government together with communities to pave the way for dialogue, cooperation, and joint program planning, implementation, and monitoring. Identify activities that address root causes of instability, including the availability of food, education, and irrigation, and the ability to travel safely. Help communities implement—and take ownership of—activities that address local grievances. Confirmed through third-party measuring that LGCD activities implemented with local government administrations improved community members’ perception of local government. Increased a sense of stability for 42 percent of survey respondents in communities where we worked, exceeding the project’s target of 35 percent, even as the countrywide perception of stability declined; during the final phase of LGCD, when the project focused on Kandahar, for example, respondents calling their stability situation “acceptable” or “very good” rose from 56 percent to 70 percent between March 2011 and June 2011, while respondents calling the situation in Kandahar “not very good” or “very bad” decreased from 12 to 7 percent. In 2010, when perceptions of stability generally declined across the country, we were able to “hold the line” in our project areas—often the most threatened communities—according to residents asked about their sense of stability. Posted 150 community development advisors to 94 government institutions, trained 6,500 government officials, and helped 81 government institutions report publicly on their service delivery improvements. 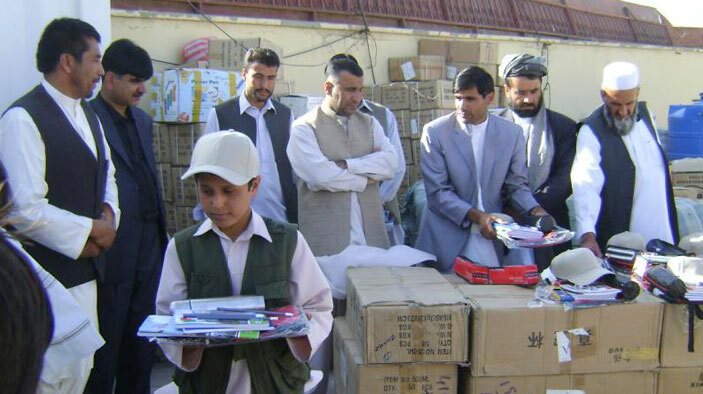 Equipped 528 government offices and 202 community organizations with basic office infrastructure and supplies in 2010–2011, including schools, provincial government offices, district centers, provincial ministry departments, community centers, associations (such as youth groups), and sports teams; provided 196 institutions with information technology and internet connections in 2008–2009. Launched quick-impact projects to provide tangible benefits in conflict-affected communities, completing the rehabilitation of 1,300 pieces of infrastructure, including 37 buildings, 268 kilometers of road, 436 kilometers of irrigation canals and karezes, and 86 boundary and protection walls; also prepared 25 hectares of sports fields and managed grants that extended 6 pipe schemes and 436 other pieces of infrastructure such as culverts and water dividers.